Anything flash in your mind that is fun to see and laugh about, just group a few buddies and make this video a reality and submit your ‘talents’. Who know your ‘out-of-the-box’ idea will hit over millions of views in Youtube. No limitation on number of submission, send as many as you can, if your ‘funderful’ ideas hit you every night. 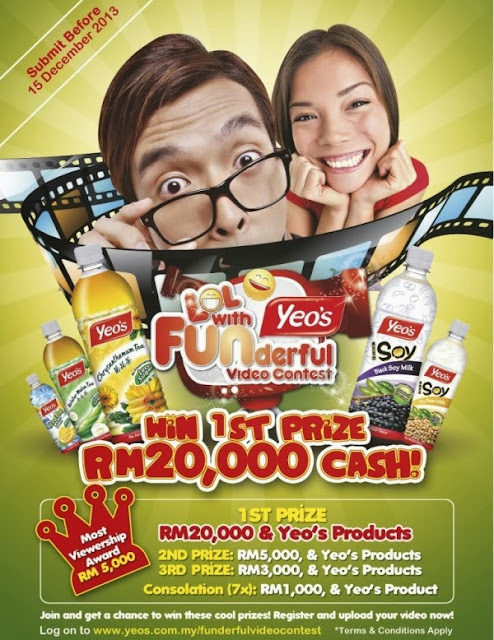 Contest Mechanics: The LOL with Yeo’s FUNderful Video Contest starts from 1 Nov until 15 Dec 2013. This contest is open to all Malaysian, aged from 18 years old onwards. 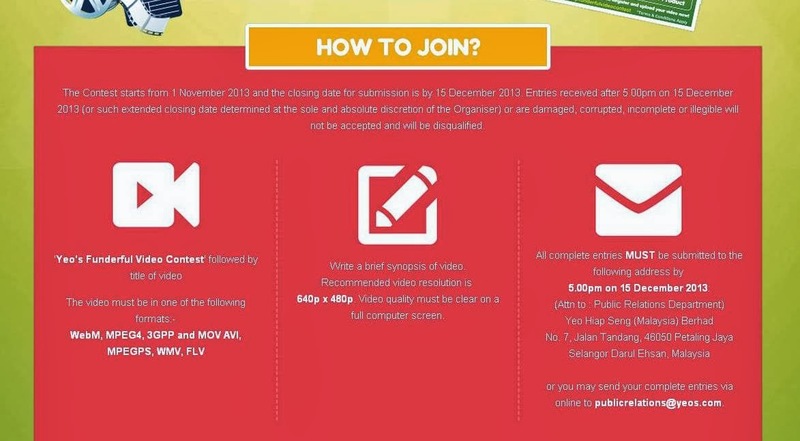 Participant could submit unlimited entries, either registering as group (with full list of names) or individual participation. 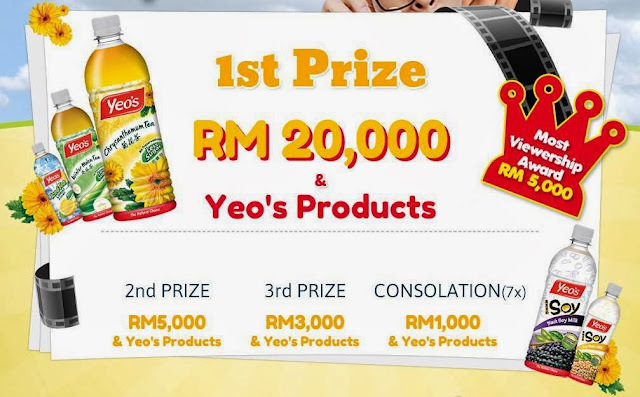 Submit video via online transfer or mail to Yeo’s as stated in the terms and conditions. Prizes: Attractive prizes await for ‘funderful’ buds to grab. Bag of Lice Say Boo!